Robert L. Dillard, Jr., Dallas, Texas, was born in Corsicana, Texas, in 1913. He attended Wichita Falls High School and Junior College, Southern Methodist University (B. S. 1934; and LL.B., 1935); and Harvard University, Cambridge, Massachusetts (LL.M., 1936). He practiced law with Saner, Saner and Jack in Dallas from 1936 to 1941, at which time he became Assistant City Attorney of Dallas. Brother Dillard became associated with Southland Life Insurance Company in 1945 in the capacity of General Attorney. In 1949, he was named a Director of Southland Life Insurance Company and in 1951 was elected Vice President and General Counsel. He is City Attorney for Carrollton, Texas. Brother Dillard is a member of Alpha Tau Omega, Delta Theta Phi Law Fraternity (formerly District Chancellor), Order of the Woolsack. He is a member of the Dallas, Texas, American and Inter-American Bar Associations, American Judicature Society and the National Legal Aid Society, having served as President of the Dallas Bar Association in 1948 and Director of the Texas Bar, 1952 to 1956. He was Chairman in 1957 of the State Bar’s Diamond Anniversary Committee. He was a member of the House of Delegates of the American Bar Association from 1956 to 1958, and is a Fellow of the American Bar Foundation. He is a member and former Chairman of the Insurance Division of the Southwestern Legal Foundation, and also a Research Fellow of the Southwestern Legal Foundation. He is a member of the Board of Directors of the SMU Law Alumni Association and in 1958 was the second graduate of the law school to receive a Citation as a distinguished alumnus of Southern Methodist University Law School. He is author of the following published articles: “Felony Cases in Dallas County in 1929 and 1933-An Analysis of Their Disposition” 14 Texas Law Review 128; “Basic Problems in Eminent Domain” 21 Tex. Bar Journal No. 5, p. 297; “A Brief Summary of the Law of Zoning in Texas” 1946, The Bureau of Municipal Research, University of Texas and “Investments of Life Insurance Companies” 16 The Dallas Bar Speaks, p. 205. In the Life Insurance Industry, he is a member of the Texas Life Convention’s Senior Section, and Chairman of its Legislative Committee. He is a member of the Association of Life Insurance Counsel and a member of the Legislative Committee of the Life Insurers Conference and of the Joint Legislative Committee of the American Life Convention and the Life Insurance Association of America. 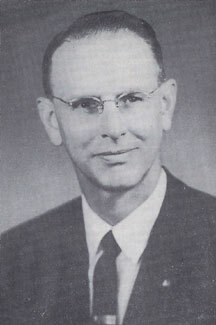 He was elected a member of the Board of Education of the Dallas Independent School District in 1952 and re-elected in 1955 and 1959 and was President of the Board 1961-62. He is Vice President of the Area Educational Television Foundation, which operates Station KERA, the educational television station for Dallas. He is a Director of the Dallas Council of Social Agencies. He was President of the Dallas Council of Camp Fire Girls, Inc., 1960-61, and is a member of the Executive Committee of Region IV (5 states) of Camp Fire, and a member of the National Board of Directors of Camp Fire. He is a Member-at-Large of Circle 10, Council of Boy Scouts of America. He is a Director of the United Cerebral Palsy Association of Dallas and Campaign Chairman for United Cerebral Palsy Association of Texas, Inc. He is a member of the Board of Management of SMU-YMCA of which he was Chairman in 1958-59. He is a Director and advisory member of the Executive Committee of the Dallas Symphony Orchestra. He is a member and Vice Chairman of the Official Board of Highland Park Methodist Church and teaches an Adult Sunday School Class in that Church. In 1937, Brother Dillard married Miss Dundee Sheeks, who has been a source of strength and inspiration to the Grand Master and has endeared herself to the Masons and their wives and friends, not only in Texas, but in other Grand Jurisdictions. They have a son and two daughters: Rob, age 22; Diane, age 20; and Deborah, age 17. Robert L. Dillard, Jr., was initiated in Dallas Lodge No. 760, A. F. & A. M., January 14, 1938, Passed July 19, 1938 and Raised November 25, 1938. He was Master of Dallas Lodge No. 760 in 1947-48, and District Deputy Grand Master for the 14th Masonic District in 1950. He was Grand Junior Steward in 1950-51 and served on the Committee on Grievances and Appeals No. 2 from 1950 to 1958 and was Chairman in 1954-55 and 1956-58; and was on the Committee on Fraternal Relations in the years 1953 and 1954. 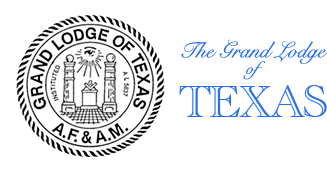 In December, 1958, he was elected Grand Junior Warden, served as Grand Senior Warden in 1959-60 and in December, 1960, was elevated to the office of Deputy Grand Master of the Grand Lodge of Texas. He became Grand Master of Masons in Texas on December 7, 1961. He is now serving as Vice President and a member of the Executive Committee of the Masonic Home and School in Fort Worth, and as Chairman of the Board of Special Trustees of the Main and Pearl Street Property of Dallas Lodge No. 760 and Tannehill Lodge No. 52. He received the Scottish Rite Degrees in Dallas Consistory completing the 32° on April 25, 1944. He was designated as a Knight Commander of the Court of Honour in October, 1949. On October 23, 1953, he received the highest honor conferred by the Scottish Rite of Freemasonry when he was coroneted a 33°, Inspector General Honorary. He served as Wise Master of the Dallas Chapter of Rose Croix in 1954-55. He participates in conferring a number of Scottish Rite Degrees and at the present time is Master of the 31′ in the Spring Reunion. He is a member of York Rite Bodies, belonging to Dallas Chapter No. 47, R.A.M. (September 17, 1945), Dallas Council No. 18, R. & S. M. (December 16, 1946) and Dallas Commandery No. 6, K. T. (April 9, 1949). On February 11, 1961, he was initiated as a member of the Red Cross of Constantine in Saint Mark’s Conclave. He is also a member of the Texas Lodge of Research (1961), the Royal Order of Scotland, (October 22, 1953), Hella Temple Shrine (April 26, 1944), and Dallas Chapter, Order of the Eastern Star, (May, 1961). 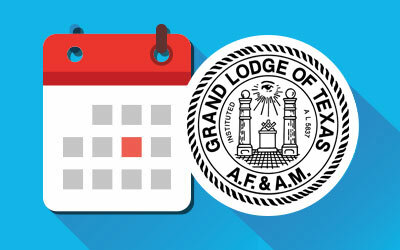 Grand Master Dillard stated, immediately after his installation, that it would be his purpose to endeavor to improve the Image of Masonry and to instill in the Masons of Texas a larger measure of enthusiasm. 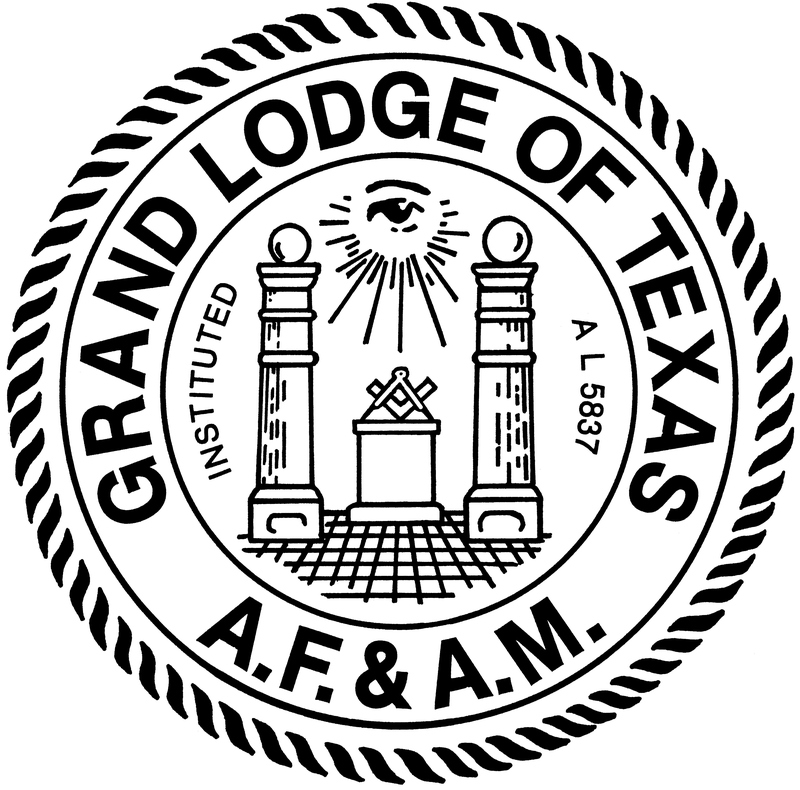 He has been highly successful and carried his program to all parts of this Grand Jurisdiction, and the Image which he has presented to the Masons of Texas will long reflect honor and glory on his administration. There is nowhere to be found a more ardent and enthusiastic member of the Craft. His sterling integrity and wise counsel will continue to be of untold value, in the future as it has been in the past. The splendid results of his labors will be seen for many years, and his devotion to the principles and teachings of our Order will be an inspiration to all who will come after him.